A French newspaper is claiming some Mac Pro owners are at risk of developing leukemia and other ills from breathing in toxic materials emitted from Apple's top-of-the-line PCs. The original report (in French) is available here. Libération cites an anonymous researcher for the French National Centre for Scientific Research, who originally purchased a Mac Pro in order to study molecules in 3D. He soon noticed a strong odor when using the machine. Ten days later, his eyes, nose, and throat were irritated. "The computer emitted fumes which, after a week of use, caused a pronounced irritation of the cornea and respiratory passages," he told Libération . The researcher first contacted Apple, which sent a technician to change the power supply – but the problem persisted. After exchanging the computer for a new one, the second unit had the same strange odor. Searching the internet, he found his case wasn't unique. Libération claims Apple forums in Germany, Great Britain, and the United States are full of testimonials complaining about a "new car smell" or an odor similar to a "rotting carpet." There's also complaints of smell causing migraines, nausea, and dizziness. ZDNet also dug up this a complaint on Apple's Mac Pro support forums discussing a "musty odor." Several people in the post also claim to detect an odd odor coming from their Mac Pros. 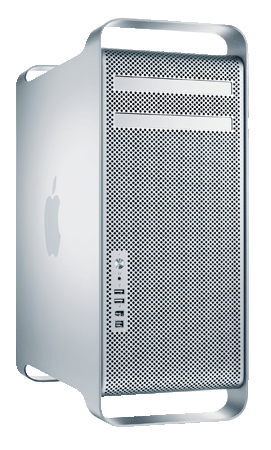 Others on the Mac Pro forum seem to think their computer smells like someone smoking cannabis. Libération said the researcher contacted Greenpeace, which sent word to the Analytica analysis lab. "We have identified seven volatile organic contaminants," the lab's Bernard Tailliez is quoted saying. The notable ingredients are styrene, benzene, and its derivatives. The publication claims it then passed the analysis to the French National Institute for Risk in the Industrial Environment. "Benzene can affect bone marrow. Imagine if a person worked eight hours per day for two months breathing in these vapors, some people could very well develop leukemia," Annie Leszkowicz, a chemical risks expert from the French agency, told the publication.